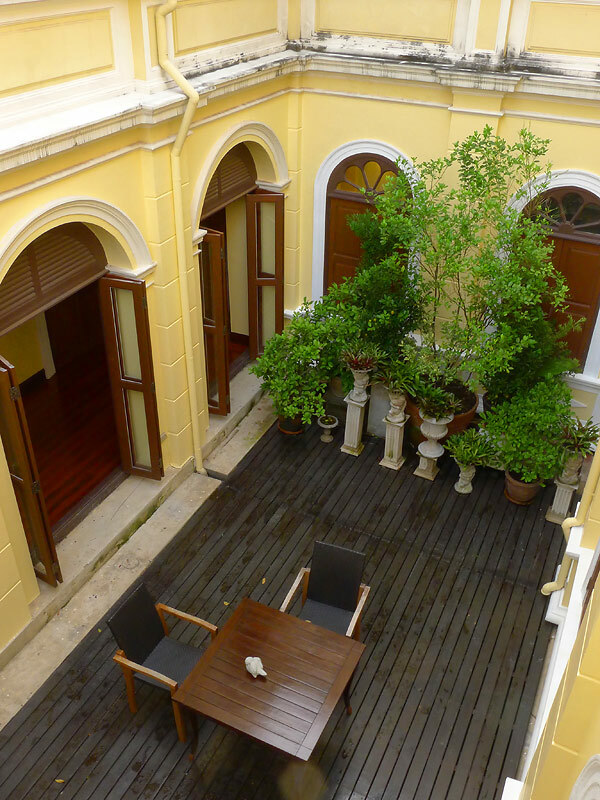 A historic Italian palazzo in Bangkok? Yes, it does exist. You can even sleep here and have breakfast on the river next morning. 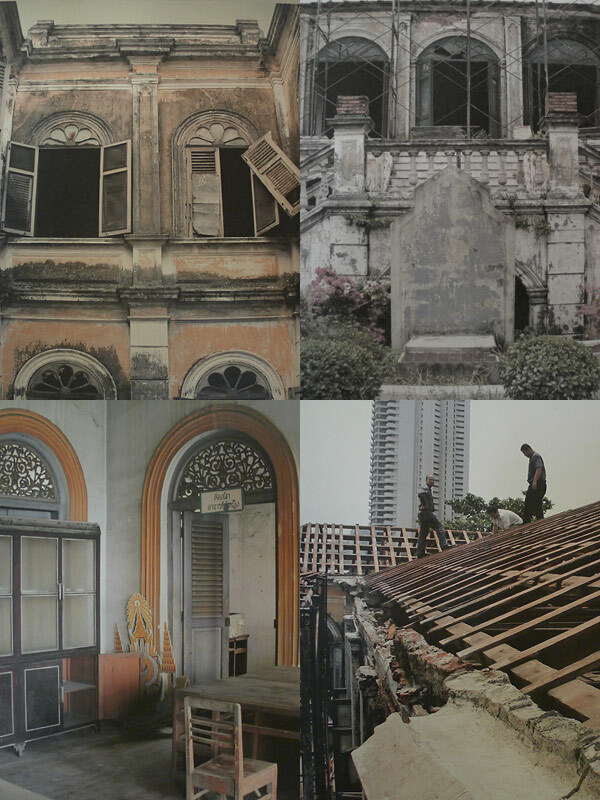 Bangkok is not a city known for European architecture, or any kind of European legacy at all, which is no surprise since it’s the only country in Southeast Asia that was never colonized by Europeans. While the neighboring countries all around its borders were falling under the colonial yoke of the enterprising British, French and Dutch, Thailand (then called Siam), remained completely independent. Alas, you won’t see that much traditional Thai architecture around these days, either, but that’s another story. 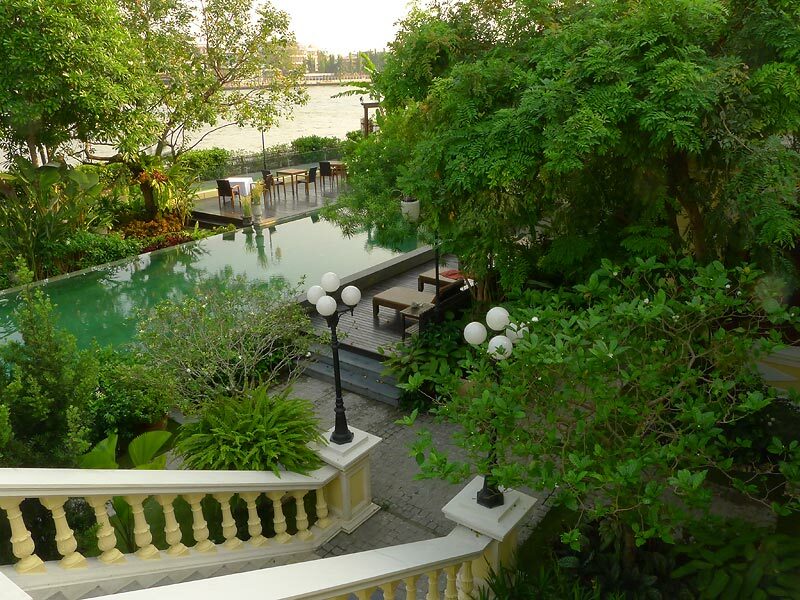 A glimpse of Praya Palazzo’s elegant façade quietly nestled on the in river bank in the middle of Bangkok is one of the exotic sights that make a boat trip down the Chao Phraya so enjoyable. 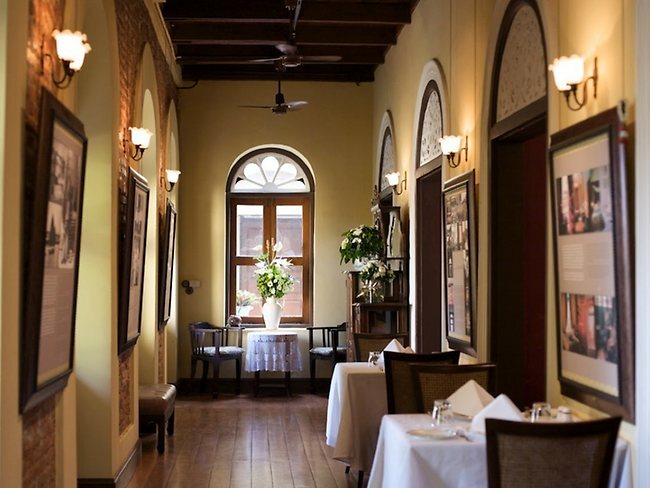 Aside from a pleasant escape from congested urban traffic onto a wide, breezy waterway, you get the charm of seeing all manner of boats, traditional life along the riverside, grand temples, and the occasional gem of an old colonial palace or historic villa that was once owned by a wealthy family a hundred years ago. 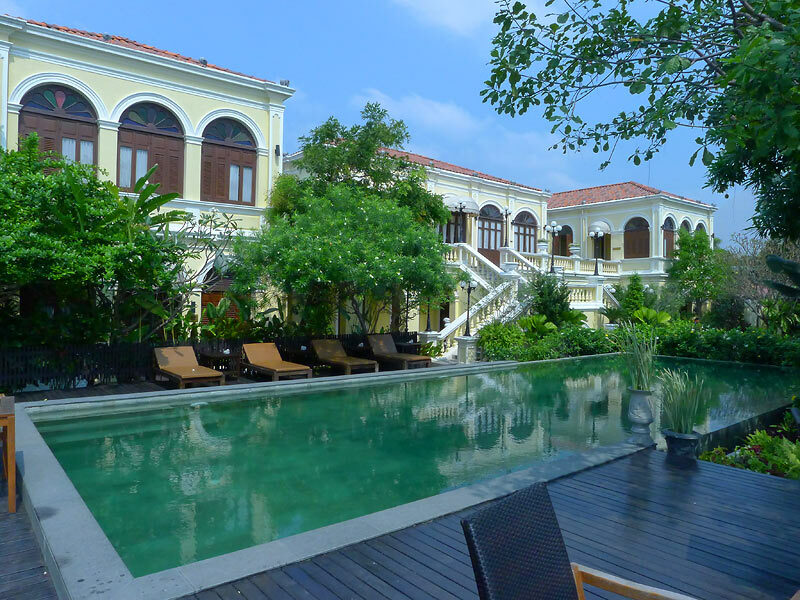 For decades, the elegant mansion now called Praya Palazzo was a crumbling pile of rubble that was sinking further and further into a greying skeleton. It was forlorn, mysterious sight that evoked curiosity and a slew of questions by passing boat travellers. Questions like – wow, what is that place? I wonder who owns it? Why don’t they fix it up and turn it into a nice hotel? 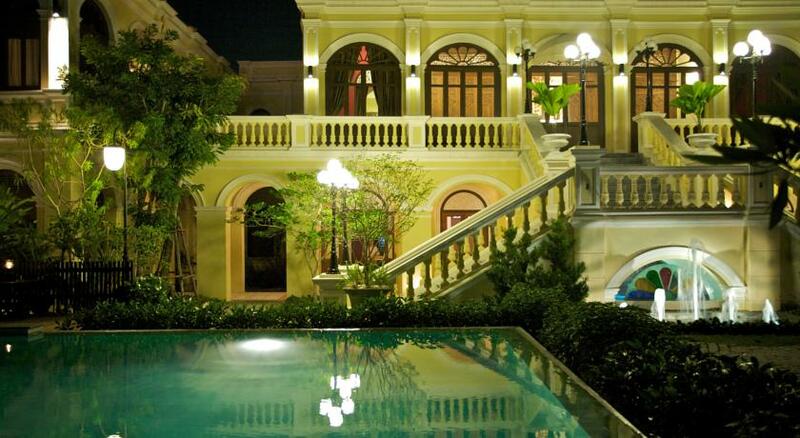 One day, someone finally did come to its rescue and turned it into a nice hotel. 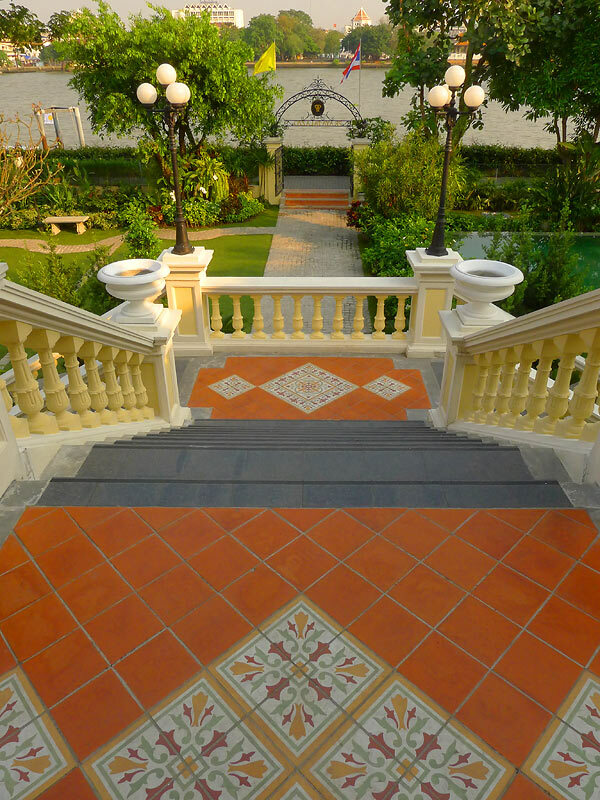 “My late husband ( architect and Assistant Professor Wichai Pitakvorarat) saw this property and it was his dream to restore it as a showcase to show his students how architectural conservation can preserve our valuable historic heritage,” the gentle owner Preeyadhorn Pitakvorarat, told me, when I met her at the property one afternoon. Sadly, her husband unexpectedly passed away during the renovation. He was only in his early 40s and Preeyadhorn was suddenly left a young widow and single mother, to complete the enormous project on her own. Grieving and saddled with massive debt, she somehow found the will power to carry on, motivated by the one goal to finish what her husband had started. Tears welled up in her eyes and her voice became shaky as she told me the story, while showing me photos of her husband and young daughter on happy family holidays taken only a few years earlier. Sitting with this gentle, soft spoken lady in an empty ballroom overlooking the river, I felt terribly saddened and almost burst into tears myself. It was unnerving to find such an unexpected story behind this lovely property’s pretty façade. Just when the renovations were finally finished, Thailand was hit by the massive flood disaster of 2011, leaving parts of the country and Bangkok swimming waist-high in horrifying, scary flood waters, especially the areas next to waterways. 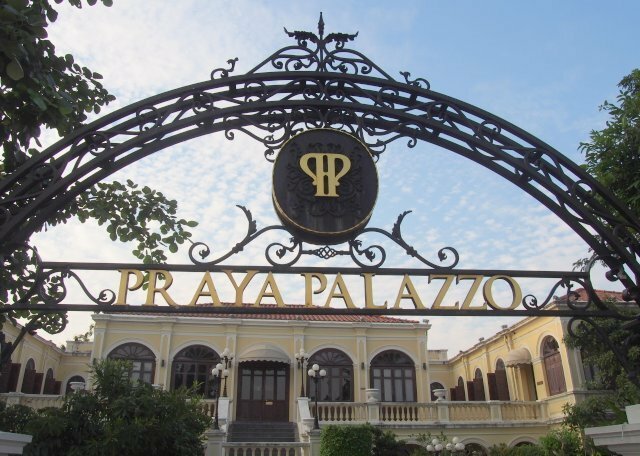 You can imagine what happened to Praya Palazzo. All the newly finished renovations, furniture, and-newly planted garden, were completely underwater. Some of the furniture even floated away. They had just installed a brand new kitchen full of expensive imported restaurant appliances and equipment. The floods, which lasted for weeks, ruined everything, and everything had to be replaced, repainted, repaired, and started all over again. 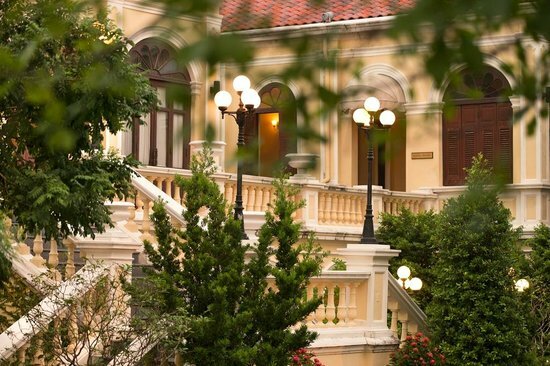 Built in 1923 by a wealthy court noble who had 10 children, the mansion became a school when the family moved to the Sukhumvit area in 1946, which was then the city’s up and coming new residential area. 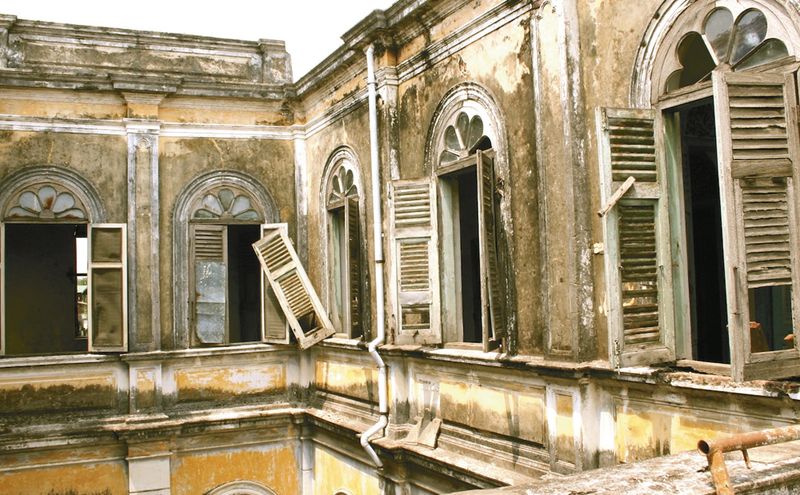 Eventually financial difficulties forced the school to close and the property was abandoned for 20 years, deteriorating until the Professor’s vision rescued it from complete ruin in 2006. 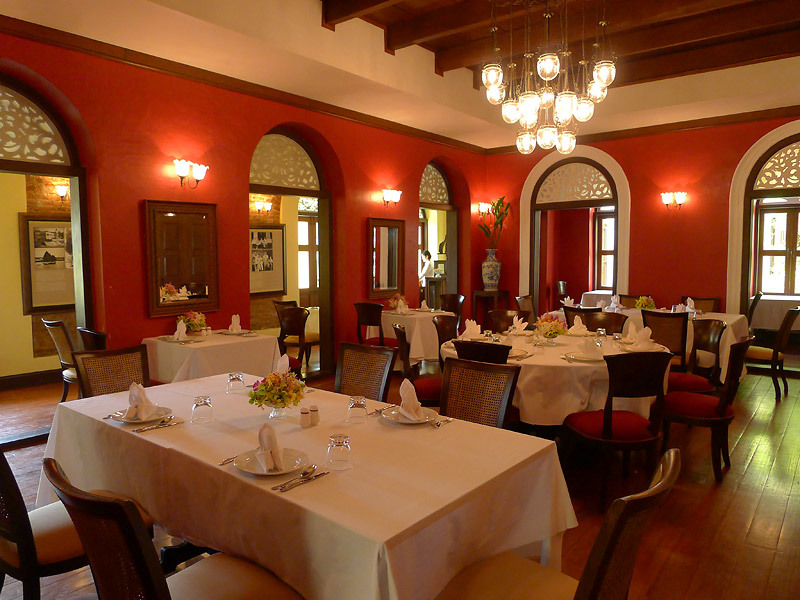 Preeyathorn undertook the decoration herself, sourcing period furniture to fill the mansion’s 17 rooms and restaurant. 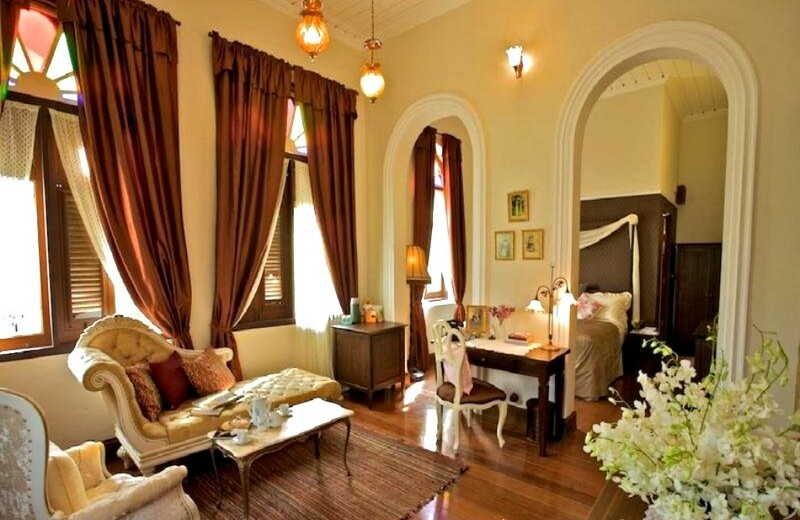 One of the property’s most unique features also made it the most difficult job to restore and furnish. Incredibly, the property has absolutely no road access and is reached only by boat from the riverfront. The only access from the land side is a narrow walking path through an old village community behind the mansion, which meant that all the construction materials and every piece of equipment, furniture, people, and food, had to be transported in and out completely by boat. The hotel now has its own ferry boats that pick up guests from the opposite (Bangkok side) bank, as well down the river to the Grand Palace, Temple of Dawn, and the skytrain station. 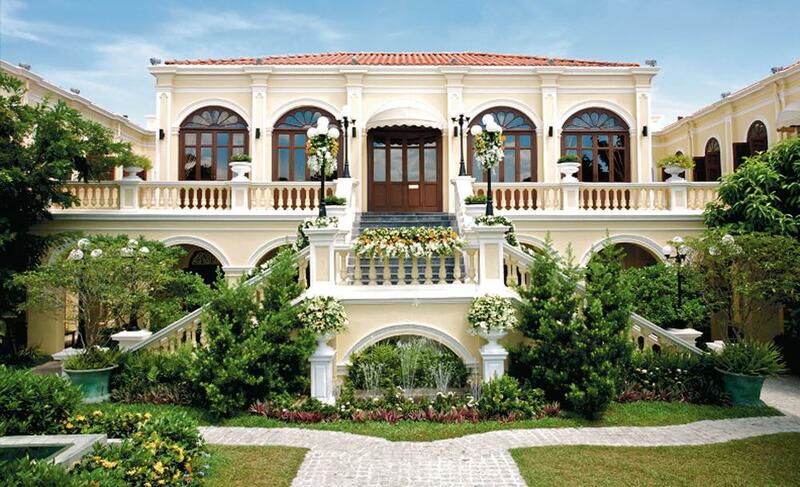 The restored Palladio mansion opened as a hotel in 2009 and is now a popular venue for dining, weddings, and events. “I continue with this to give something for my daughter – her father’s dream” said Preeyathorn, “Modern life is tough. I hope this place will be her own little world, a special place with the staff as her family and the guests as her friends”. 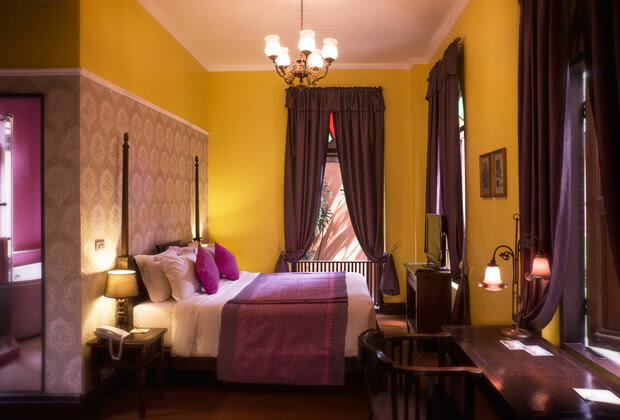 Do you love historic hotels? What are your favourite places? What a story! 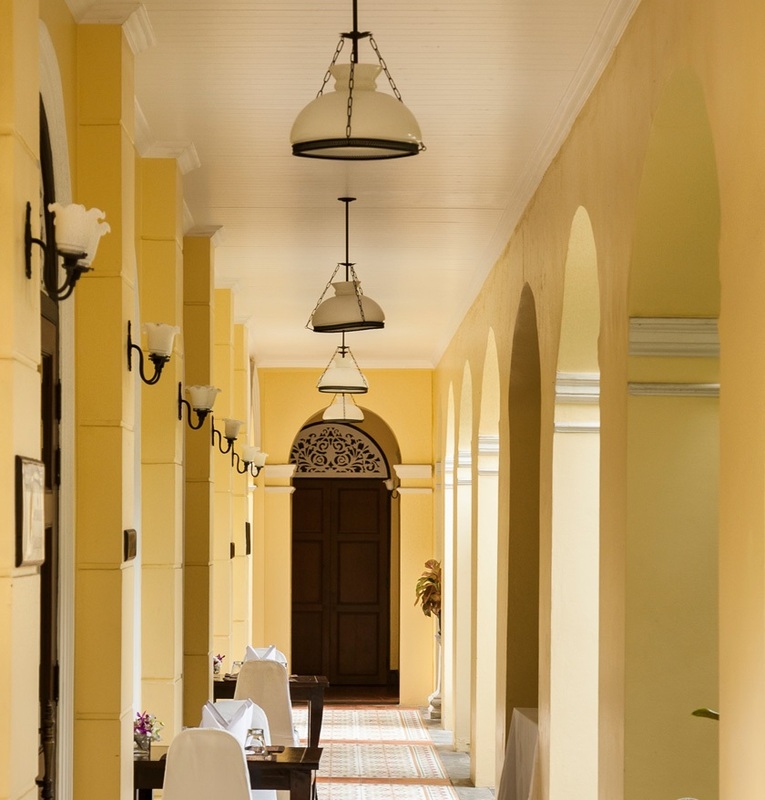 It’s refreshing to hear about a luxury hotel that was a labor of love rather than a soulless corporate moneymaker.